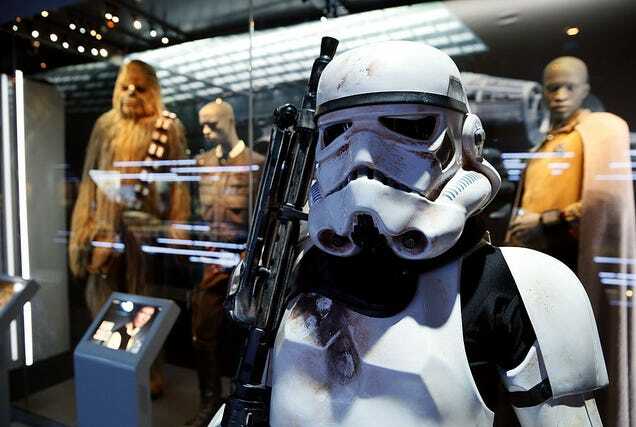 Braving the crowds on Force Friday might net you a crappy Stormtrooper helmet or a can of Wookie-O’s, but it hardly seems worth it, especially when—provided you have a few hundred thousand credits lying around—you could purchase valuable Star Wars memorabilia from the comfort of your own home. That seems to be the thinking behind the Prop Store’s primo auction, which will be held at London’s BFI IMAX on September 26 as well as livestreamed for those who want to track bidding from afar. The items, including a Darth Vader promotional helmet, are expected to go for anywhere from £20,000 to £100,000. Those are just estimates; online bidding is already open, so this ILM Y-Wing model miniature from Return Of The Jedi could fetch even more, assuming you go in on it with some friends (that always ends well). Or, if metal heads are more your style, you can snag a C-3PO special effects head that was used in The Empire Strikes Back, which is estimated to sell for £60,000 to £80,000 (because it was dipped in gold?). There are more than 300 lots total for this auction, which those of you in Waterloo, London can check out during a preview exhibition. The rest of us will livestream it while digging through couch cushions for loose change.